I have already talked a lot about Keyword research and benefits of keyword research. I have seen people making mistake by targeting direct keywords instead of long tail keywords. 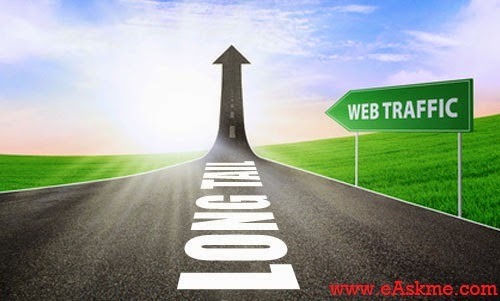 We explain you what are long tail keywords in below example. Now you see that long tail keywords have less searches than short tail keywords but competition for long tail keywords are far lesser than short tail keywords. Also Long tail keywords drive targeted traffic and increase your conversion. So today I am talking about the best tools to find long tail keywords in any niche. Some of them are free and some are paid. This is the first free tool that we use. This allow you to find long tail keywords in any niche. It show keyword results based on popularity. Just start typing your keyword and it will start suggesting you on the go. When you decide your keyword from here you can move to other keyword tools to find competition, CPC, number of searches and other details. Keywordtooldomniator has an awesome tool that is Google Auto-suggest and it take Google auto suggestion to next level. It automatically suggest you all the keywords and also allow you to download keywords in .csv format. Now you can use Google keyword Planner or any other keyword suggest tool to get more details about keyword. Hittail is a paid tool, but believe me nothing can beats its features. It is best for e-commerce site, professional blog and business blog. It help you make list of Long tail keywords and bring better results. Based on the keywords that driving traffic to your site HitTail suggest other long tail keywords that you should use. It will help you get more traffic. WordTracker is one of the popular SEO keyword tool. You can easily find long tail keywords by using this tool. It also show additional details like IAAT, KEI, competition and searches. With a free account you can access 100 keyword results. It is very effective. Get Competition details and KEI. You just need to create a free account on WordTracker and start using it. Ubersuggest is a fantastic tool to research log tail keywords. This tool do not show keyword details like search volume, competition etc. But still this is helpful in generating long tail keyword ideas. Long tail pro is a desktop based solution. This is a paid tool that offer a lot of features. You can grab its 10 days free trial to use it and see its features. These are few of the best available free and paid keyword research tools I have ever used. Now as you have a list of keywords your next target is to write high quality keyword rich article. The content you write should target users. Use these tools and do let us know which you like. If you use any other tool do share with us in comments. If your like this article dont forget to share it on Google Plus, Facebook and Twitter.